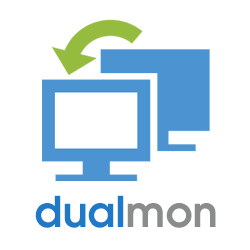 Click here to go to dualmon site. Compared to Logmein this is the best deal on the planet. I was paying $1,500 a year for 25 computers. Their price $149.00 Total for all 25 computers. The software works as well or better than Logmein. My new friend Chris Ark turned me onto this. I am converting all my stations to DualMon.